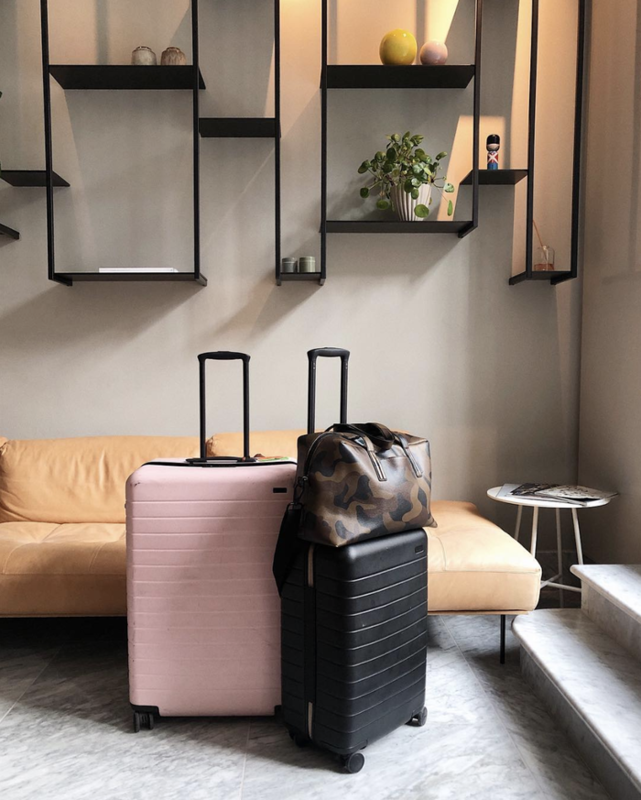 There’s nothing like having a scheduled vacation to look forward to, but in the days leading up to your flight, the idea of packing can verge feel stressful, especially when it comes to smaller items. Though having the proper carry-on or luggage set can always make your travels go more smoothly, we also recommend choosing a stylish tote bag so you can have everything you want within reach during your flight. Though carrying a backpack may seem like the most practical option, it isn’t always the most stylish or even the most accessible. Having a larger tote to hold everything from your laptop to a stack of magazines will ensure that you have a sleek, stylish way to hold your on-flight necessities. And once you land, your tote will be a great option to carry as you head out sightseeing. Ready to add a new tote to your travel bags? Scroll down to shop our favorites on the market right now. 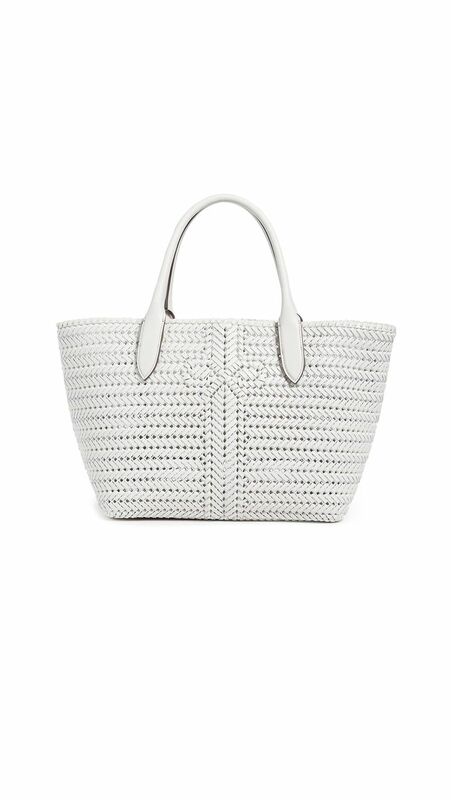 While the woven texture makes this perfect for summer, the white texture makes it so chic. A classic black tote will go with everything you wear. We can’t get over the pale petal-pink shade. A sturdy canvas tote can get you through nearly everything. With the casual silhouette, this bag will feel so luxurious and cool. Stand out whenever you wear this bright red tote. The subtle embroidery of this bag gives it an elevated touch. The shape of this will feel like a small version of a duffle bag. We love the graphic texture of this bag. You won’t go wrong with a fuss-free tote bag like this one. Leave it to Mansur Gavriel to make the essential tote in an amazing color. Easy to carry, and Instagram-friendly, too. This timeless bag is easily worth the investment. This bag will get you through anything. Get this tote monogrammed to truly make it your own. The Row can do not wrong with it comes to handbags. A denim tote bag will feel so modern and strong. Now, see the basics you need for every flight, according to a New York Times fashion director.